During the last quarter of 2018, the U.S. was unfortunately punished by Hurricane Michael on the east coast and wildfires sweeping the west coast. Going through a natural disaster is an unfathomably stressful and scary event. But that’s why we have a multifaceted approach to helping Young Living members and affected communities in the aftermath of disaster. On October 10, Hurricane Michael made history as the strongest hurricane in the Florida Panhandle’s history to make landfall. This storm ripped through cities, leaving homes, schools, and workplaces decimated. 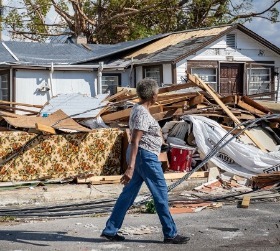 The families and communities still affected months later are working tirelessly to repair and rebuild homes, clean up their neighborhoods, and most importantly, get back to life as usual. The generous contributions of our donors helped the Young Living Foundation support organizations such as The Sonder Project, a nonprofit dedicated to strengthening communities through food security, clean water, and education. 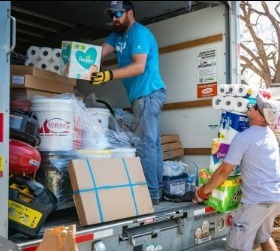 When Hurricane Michael struck the organization’s own backyard, they assembled resources and volunteers, distributing hands-on cleanup teams as well as food and other necessary resources to those who lost everything. The Foundation donated $5,000 to support The Sonder Project’s efforts in mucking homes, tarping roofs, and connecting skilled electricians to those still without power. 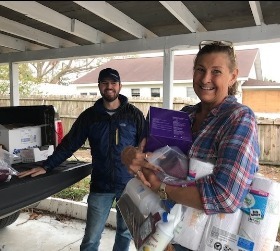 Disaster relief fund donations also support fellow members of the Young Living family through the distribution of care kits to those who qualify. Members who have endured total loss, losing their homes and belongings, are eligible for a care kit. 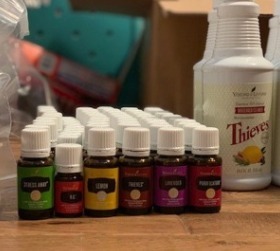 These kits include essentials to help clean up after flooding as well as rejuvenating essential oils. When the Camp Fire broke out on November 8, 2018, nobody anticipated it would become the deadliest and most destructive wildfire in California’s history. With extremely dry and windy conditions, the fire spread from its initial burn site to the towns of Concow and Paradise within a half hour, leaving residents almost no time to safely evacuate. Many families lost everything in the fires, fleeing on foot with their loved ones and the clothes on their back. In the aftermath of the fires, we donated over $23,000 worth of product to members affected as well as community organizations in the Paradise area. The fire kits also contain Seed to Seal® essential oils to help uplift and destress after a disaster. 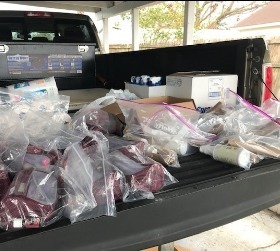 If you are interested in helping fellow Young Living members impacted by Hurricane Michael, there are a few ways you can contribute. To provide a monetary donation to the disaster relief fund, please visit YoungLivingFoundation.org/disaster-relief. 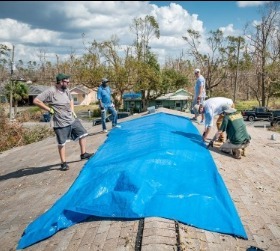 If you live in the Panama City area and are interested in helping in the hands-on efforts, please visit The Sonder Project at TheSonderProject.org/get-involved/ and fill out a volunteer application today.